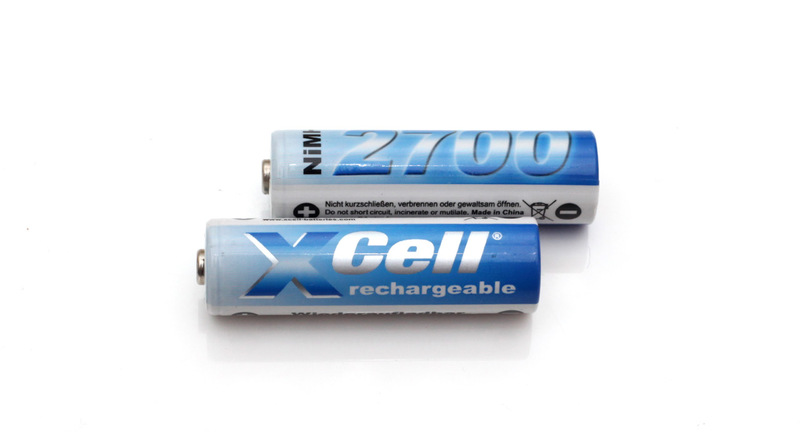 We have started the test of the 1.2V AA 2700 mAh Xcell NiMH batteries as we normally do with a low constant current discharge rate of 0.2A and the result we got was 2191 mAh as capacity and that is way too little for a battery rated at 2700 mAh, disappointing us a bit. Going further by increasing the constant current load at up to 2.0A, these batteries do manage to provide good results, so they are handling well higher loads, it is just that the useable capacity you get is less than advertised. We’ve repeated the tests multiple times just to be sure that this is really the maximum we can get from the AA Xcell NiMH batteries and in the end we would recommend to choose different 2700 mAh batteries if you are in need of higher capacity.